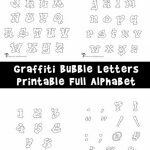 Never in a million years would I have thought that printable bubble letters would be so dang popular, but they are! So we thought we should get some spring themed and animal themed bubble letters up on our site right away. These are full size and great for printing and coloring, or for decorating your classroom to encourage your students to be bookworms! 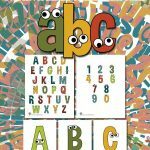 We also have printable animal alphabet worksheets for pre-k and kindergartners too! Woo Jr, I wonder whether there is any pop up cards which u make in your site.